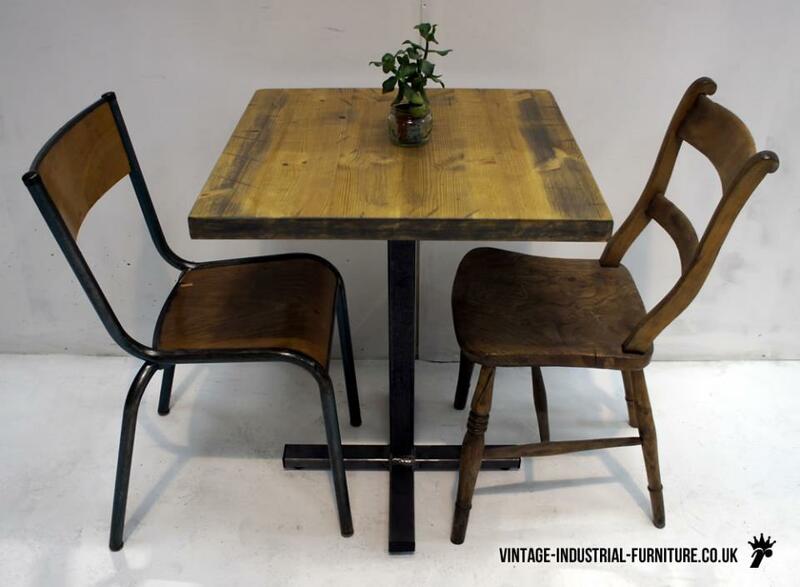 Available singly or in multiples at trade prices, our vintage industrial bistro table - with its central pedestal - is ideal for compact spaces. Its raw aesthetic creates an intimate atmosphere for two diners. We can also supply an outdoor bistro table. The central grey square column is of dark grey self-coloured steel which has a lovely patiner. This is mounted on a cross steel base. Each of the arms of the base has an adjustable foot for levelling. The top is characterful but flat and smooth, having been sealed in several coats of lacquer. 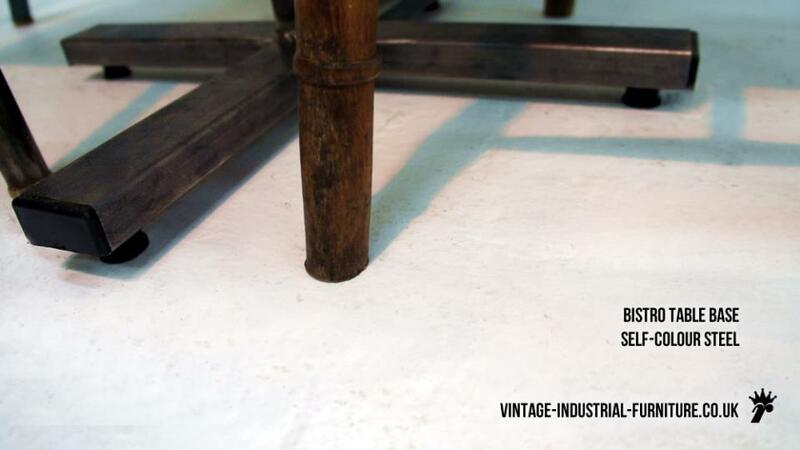 The result is a vintage industrial bistro table with depth, warmth and charm. We could also make this piece in other sizes - please contact us. The price below includes delivery to most UK mainland places. 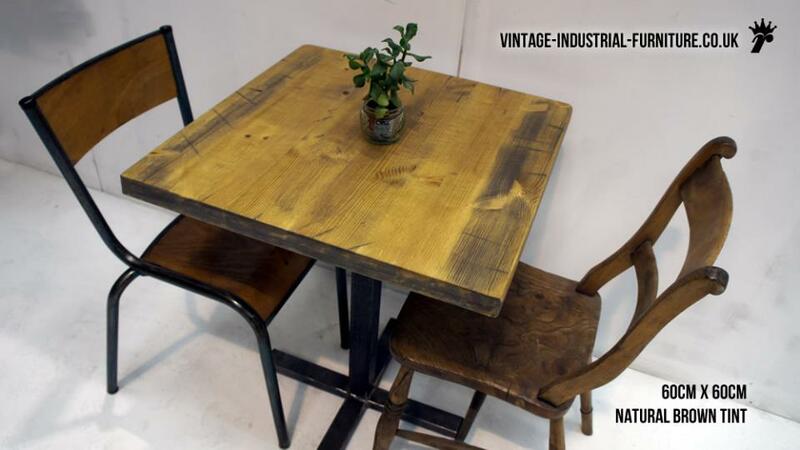 This table is available in "natural brown tint".